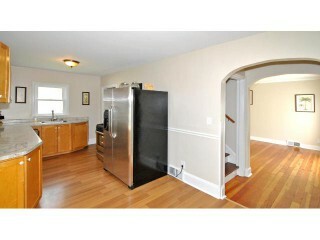 Welcome Home to this 1 1/2 Story 3 Bedroom Remodeled for quick move into. Enjoy Large Yard, 2 Car Garage, Hwd Flrs, 3 Baths. New S.S Appls/Ctops/Paint/Windows. Bsmnt can be finished for add sq ft.